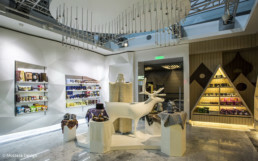 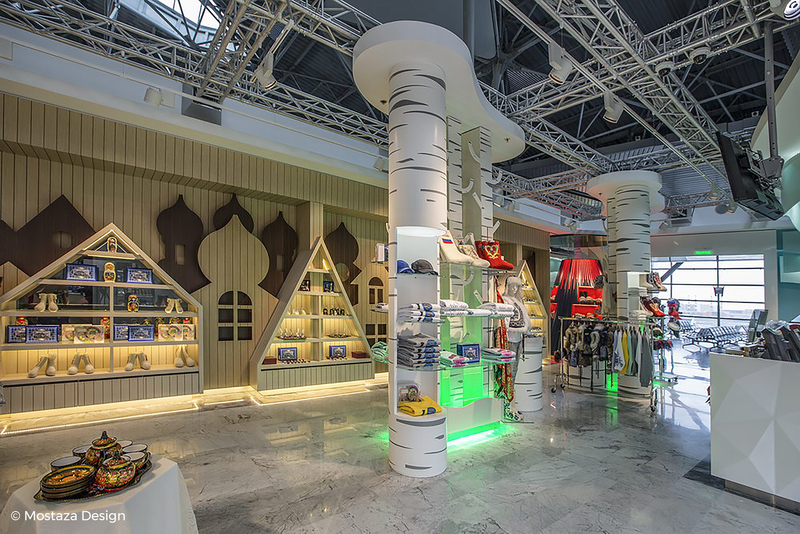 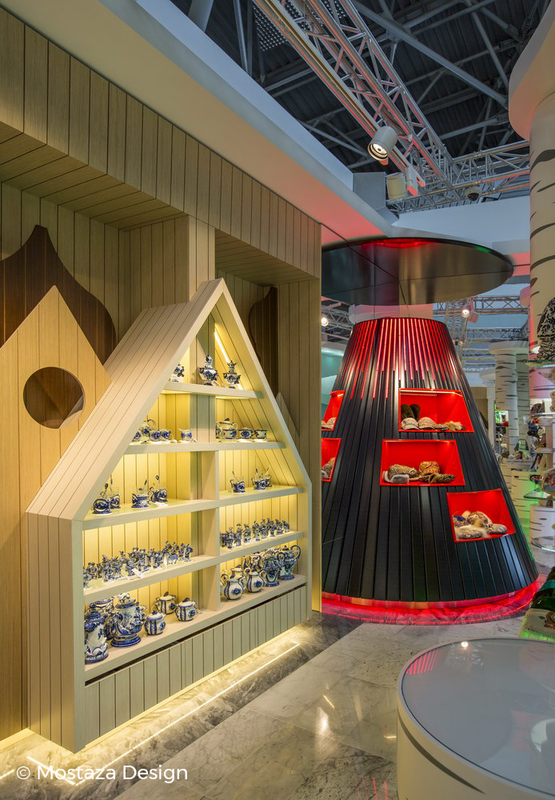 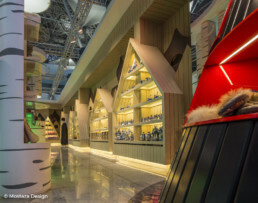 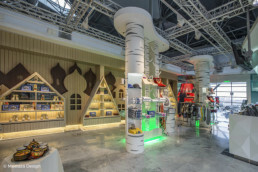 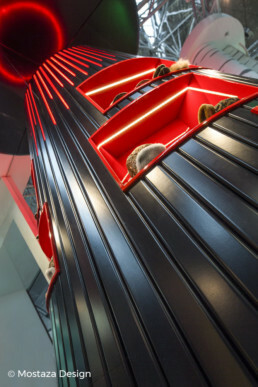 RegStaer wanted to open a souvenir shop inspired by the opening of the Olympic Games in Sochi, which represented spectacular areas of the country: Kamchatka, Russian Village, Birchwood, Lake Baikal and Chukoyka. 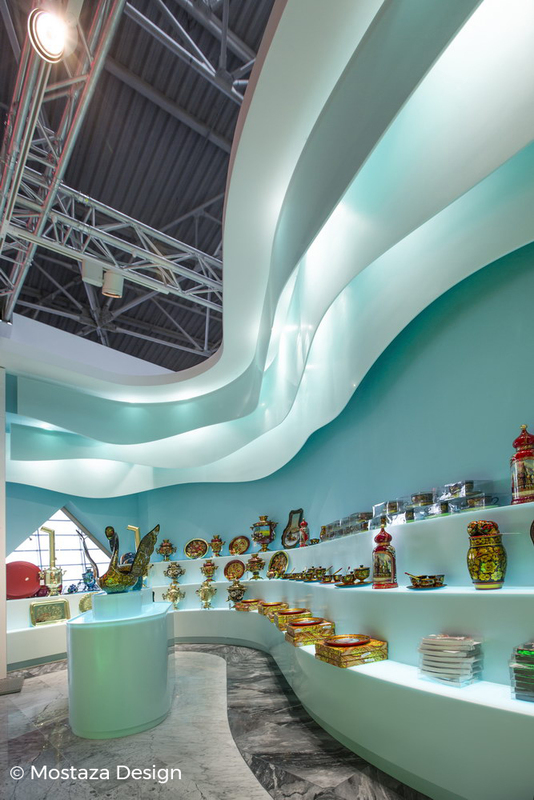 Each zone had been assigned a category of products, each having a type of finishings and shapes. 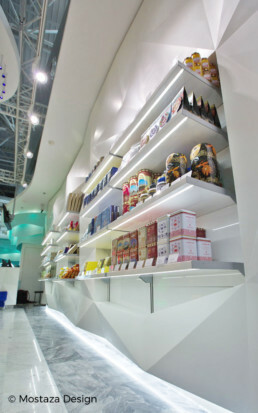 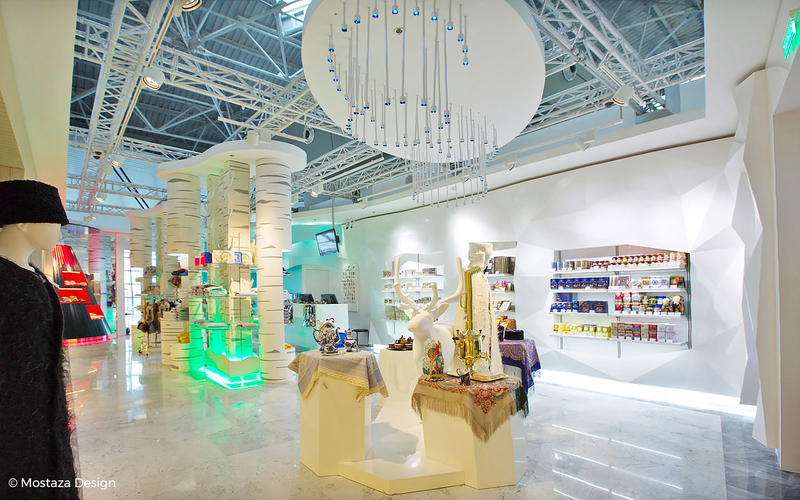 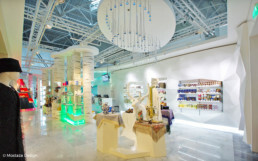 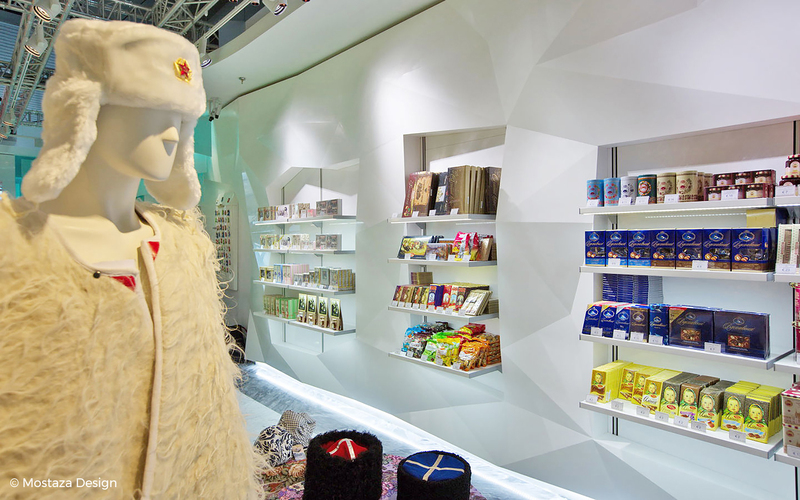 The store has become one of the most visited in the Vnukovo Airport.